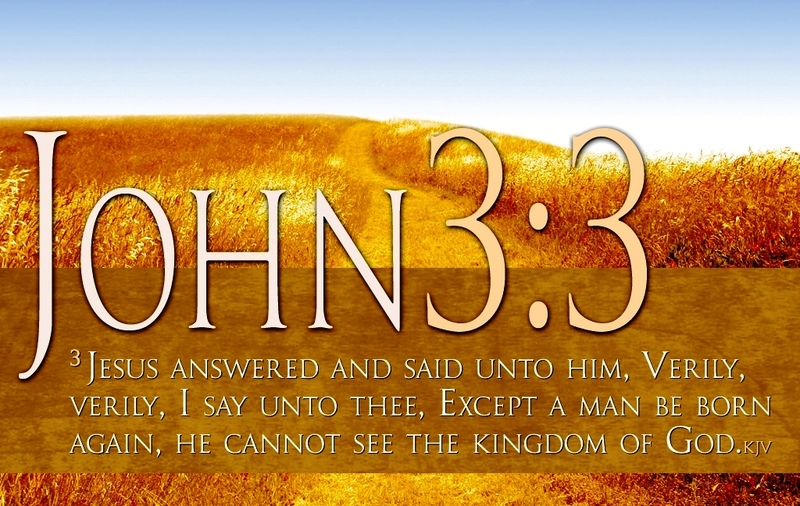 For those searching the scriptures wanting to know what does one do to be born again,we find the answer plainly given by Jesus Himself when Nicodemus posed this question to Him ( John 3:1-8). There was a man of the Pharisees, named Nicodemus, a ruler of the Jews:2 The same came to Jesus by night, and said unto him, Rabbi, we know that thou art a teacher come from God: for no man can do these miracles that thou doest, except God be with him.3 Jesus answered and said unto him, Verily, verily, I say unto thee, Except a man be born again, he cannot see the kingdom of God.4 Nicodemus saith unto him, How can a man be born when he is old? can he enter the second time into his mother’s womb, and be born?5 Jesus answered, Verily, verily, I say unto thee, Except a man be born of water and of the Spirit, he cannot enter into the kingdom of God.6 That which is born of the flesh is flesh; and that which is born of the Spirit is spirit.7 Marvel not that I said unto thee, Ye must be born again.8 The wind bloweth where it listeth, and thou hearest the sound thereof, but canst not tell whence it cometh, and whither it goeth: so is every one that is born of the Spirit. When Jesus said that which is born of the flesh He is speaking of us being born of human parents,and that which is born of the spirit is up to us by renewing our minds in the word and by repenting of any sin! (Romans 12:2). 2 And be not conformed to this world: but be ye transformed by the renewing of your mind, that ye may prove what is that good, and acceptable, and perfect, will of God. Galatians makes it very clear what is and is not acceptable to God,making it easy for us to know what we are to do and not do(Galatians 5:19-26). 19 Now the works of the flesh are manifest, which are these; Adultery, fornication, uncleanness, lasciviousness,20 Idolatry, witchcraft, hatred, variance, emulations, wrath, strife, seditions, heresies,21 Envyings, murders, drunkenness, revellings, and such like: of the which I tell you before, as I have also told you in time past, that they which do such things shall not inherit the kingdom of God.22 But the fruit of the Spirit is love, joy, peace, longsuffering, gentleness, goodness, faith,23 Meekness, temperance: against such there is no law.24 And they that are Christ’s have crucified the flesh with the affections and lusts.25 If we live in the Spirit, let us also walk in the Spirit.26 Let us not be desirous of vain glory, provoking one another, envying one another. Repentance is vital in the salvation of man! (Acts 3:19-21). 19 Repent ye therefore, and be converted, that your sins may be blotted out, when the times of refreshing shall come from the presence of the Lord.20 And he shall send Jesus Christ, which before was preached unto you:21 Whom the heaven must receive until the times of restitution of all things, which God hath spoken by the mouth of all his holy prophets since the world began.